And though I've been a fan of Daniel's work for years, especially his contributions to the KIDS soundtrack, I just recently learned that he grew up in Chester. How did growing up in the Panhandle influence your life, Daniel? For my part, I thought it totally sucked. That being said, was there anything specific about the locale that you'd identify as a major contributor to the person that you became? Also, though you've lived in various places about the country, do you still feel an inextricable connection to WV, or did events of your life sour you on this neck of the woods? I know Daniel still has family in the Chester area. Very nice people as well. I can tell you the only place in the tri-state area that Daniel ever mentions is Eides comic book and record store in Pittsburgh. I've spent hours in there with him. He says it is the best comic book store in the world. And it is a great place. Go visit it if you have a chance. I can provide directions if your interested. 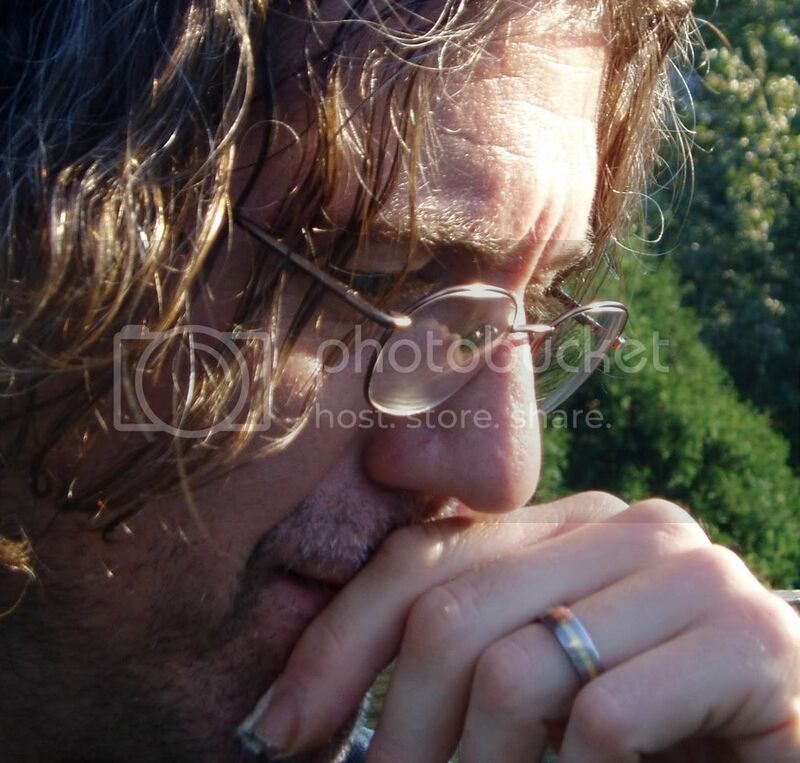 --I spent my first 18 years in Chester (I've had my own life shaping moments in and around Arner's funeral home) and I've wondered as well if Daniel felt "an inextricable connection to WV." I do believe I saw a picture of him wearing a mountaineer shirt recently. --I've also been wondering about the possibilities of him getting some recognition there. Ya know like Daniel Johnston Day! or maybe an 80 foot bronze Daniel statue that could be placed on top of the world's largest teapot (which is located there), or maybe just like a plaque or something. 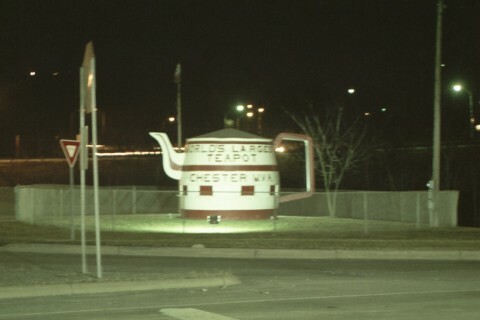 World's largest teapot? You gotta be kidding me! Any link to a pic? How about a street named after our favorite singer/songwriter?